The cubicle remains a central building block of most office landscapes. It defines space, delivers power and technology to the user and it can promote collaboration and teamwork or provide privacy for individual tasks. 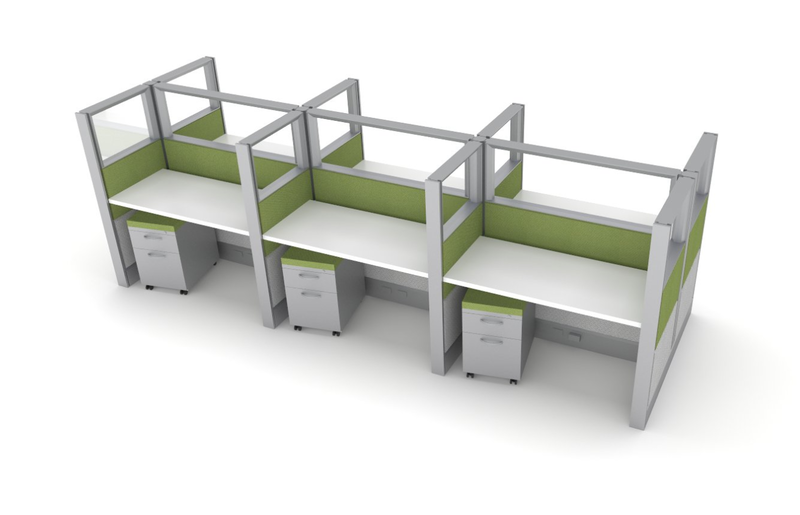 The cubicle can be reconfigured and adapted to meet both the current and future needs of an organization. The cubicle can promote and reflect the culture of a company through intelligent design and thoughtful selection of fabrics and finishes. When it comes to cubicles, EthoSource has redefined expectations by providing a refurbished solution that combines all of the design, aesthetic and performance benefits of a new cubicle system with significant cost savings that result from a pre-owned starting point. We start with previously enjoyed Herman Miller Ethospace cubicles that are brought into our remanufacturing facility. Starting with this building block we then modify, supplement and completely recondition the product to meet the specific needs of our customers. New fabrics and finishes are applied to reflect the design and aesthetic goals of the client. A like new, custom designed office environment that reflects and promotes our client’s vision for their business in an economically affordable way.